© 2017 - Blue Tea All Rights Reserved. This Scandinavian inspired kitchen is designed by Vinciane Fiorentini-Michel. 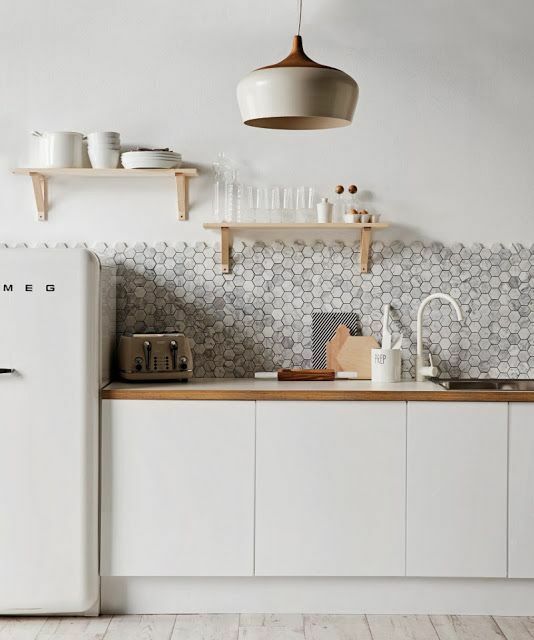 The hexagonal tile splash back is left with a honey comb edge. This detailing is softer than traditional square tile edging. It is more of a design element than an application default. Thank you! We will make sure to answer you as soon as possible. If you have an another question, feel free to send us one more message.